Polish off your porch with the Decorative Coronado Floor Fan, and you’ll be able to beat the heat in style. 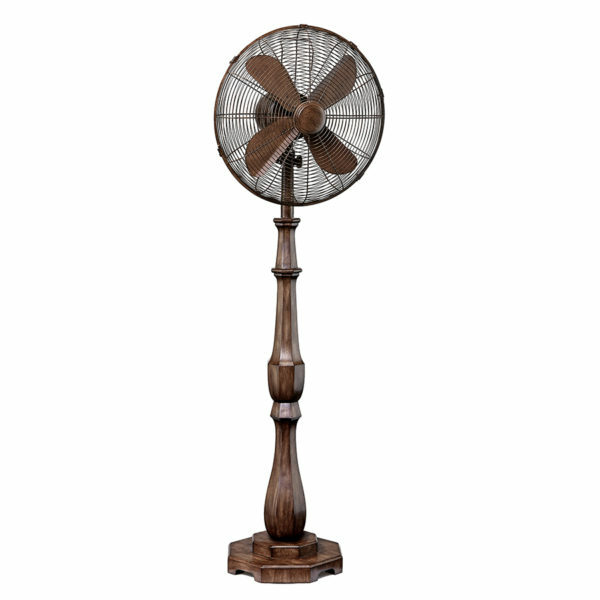 While this freestanding fan looks as if it were made from solid wood, it’s actually crafted out of resin, making it ultra durable and resistant to the effects of the elements. Be the first to review “Decorative Coronado Floor Fan” Click here to cancel reply.